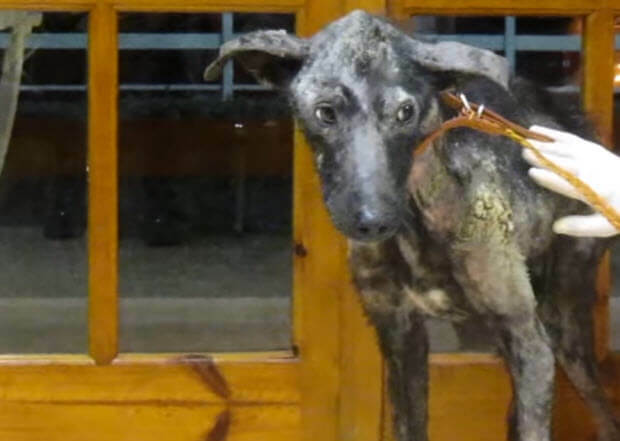 This Dog Wasn’t Supposed To Live…But He Defied All Odds And Did This Instead. Amazing! There comes a time when it becomes almost obvious that someone will not survive very long. It is true for humans and for animals. Doctors can certainly understand when and how someone’s health would deteriorate beyond hope for recovery. Normal people can also gauge if anyone’s physicality is beyond remedy. Many of us consider animals to be weaker than humans, especially dogs. But they are perhaps not. In Greece, an extremely fragile dog was rescued by a volunteer Valia Orfanidou. She found the dog in a very poor form. The dog had a very slender musculoskeletal structure. It was as if it had no muscles. Many people felt horrified at the very sight of the dog and wondered what it had gone through to be in such a frail shape. 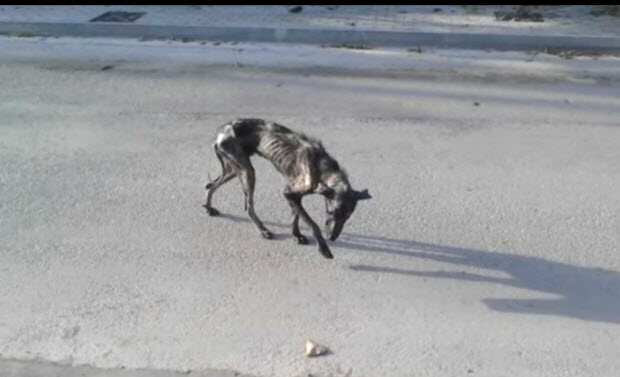 Rescuers from Ilioupolis Animal Welfare Union which is based in Athens named the dog Billy and traveled for more than 40 miles to bring the ailing dog for his obvious final days. 5 Best Ways To Make Friends With Your Cat! SHE TRIED DOG FOOD AND YOU MUST SEE HER REACTION. PRICELESS!! !